The Priest is Permafree! Long Live The Priest! Since yesterday, The Priest is available on Smashwords for free. As I explained in previous posts, I am working on widening my readership, and it seems that having a series of three or more books begs for a permafree. I am not sure what to expect exactly from this experiment, since The Ginecean Chronicles are a hard sell to begin with, but if I gain one more reader it would be worth it. At the moment, according to my Smashwords’s page stats, it seems that The Priest was downloaded 34 times. I’ll keep you posted, if anything noteworthy happens. Meanwhile, many happy readings to all of you, and have a fantastic week. Yesterday, The Priest was promoted by both eBookSoda and ENT. I dropped its price from $4.99 to $0.99 for the promotion, and waited for the results. 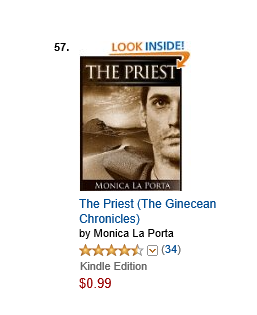 Today, I woke and immediately checked the ranks, and found that The Priest had reached the 100 chart in the paid Dystopian Science Fiction Bestsellers list category. Not too bad. I know a new cover is normally revealed before a book is published, but I tend to do things unconventionally—like supposedly stirring the coffee the other way around—my husband actually called a poll on facebook to prove I was the only one doing that. I must admit that after the results were in, I was among the few… But that’s not the point of this post. 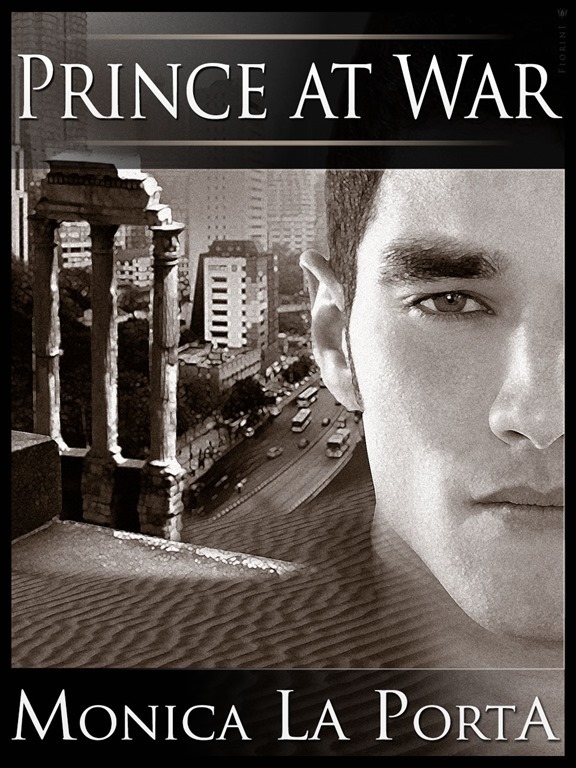 The point of this post is that I published Prince at War with a temporary cover and I’m happy to show off my cover artist Alessandro Fiorini’s beautiful job with the official one. Isn’t he great at what he does?